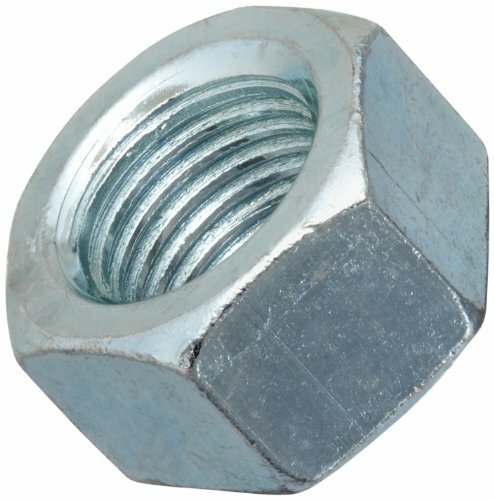 The grade 2 steel hex nut has a zinc-plated finish and meets American Society of Mechanical Engineers ASME B18.2.2 specifications. It has six flat sides that a wrench can grip to turn from the side, enabling use when there is no space above the nut. Grade 2 steel, composed of either low or medium carbon steel, is often used in applications where toughness is the primary consideration. The zinc plating offers corrosion resistance and has a reflective appearance.